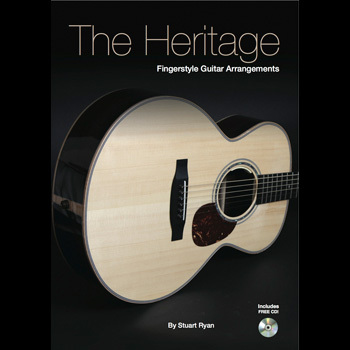 Stuart's first collection of fingerstyle guitar arrangements, acclaimed by the guitar press and guitar players across the globe. 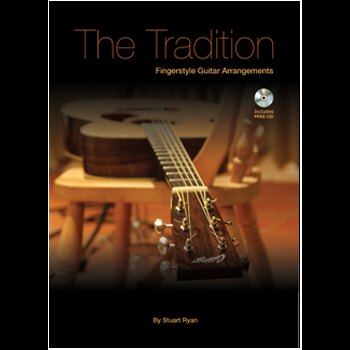 iPad users can now purchase my acoustic fingerstyle guitar book ‘The Tradition’ as an iBook! 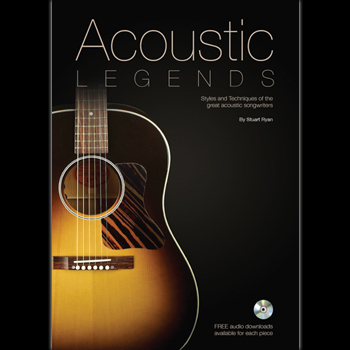 Described as “Essential” by Acoustic magazine, ‘The Tradition’ is Stuart’s collection of fingerstyle arrangements of some of the most beautiful traditional pieces from Ireland, England, Scotland and the USA. These solo pieces are rich in melody and give players the opportunity to work on different techniques from slow, expression driven pieces to more uptempo reels and jigs. Each piece is performed by Stuart on the accompanying CD and all the arrangements are presented in tablature and notation with detailed performance notes and background information. In addition a range of different tunings are used from standard to DADGAD and more so you can really start to see how the various altered tunings work. With over twenty years’ experience of arranging for solo guitar Stuart is your ideal guide into the world of solo fingerstyle guitar. “Just wanted to express my gratitude and admiration for your book ‘The Tradition’ – easily one of the best guitar books I’ve ever bought. STAY UP TO DATE WITH NEWS & OFFERS!